Many people across the world believe the myth that they do not need a moving company when relocating to another city or state. The myth is hinged on the belief that moving by yourself is both cheaper and easier. Well, the truth is totally different. There is every reason why you need to start googling moving companies near me the moment you think of moving. And for whatever reason you want to move, this article looks at how to find the best moving company near me. The real reason why people fear hiring a moving company is because of the cost. In most cases, you will find that most of the local moving companies charge a high price, one that can easily discourage any mover. But to be on the safe side, you should avoid hiring the first local mover you find. It is always prudent to shop around for movers, inquiring on the cost of moving and other related things. If you are in Sydney, for example, a company like The Unbeatable Removals will be one of those that you will find most attractive, not just on the cost but also on the professionalism. This is another critical step when looking for local moving companies. You need that company that will charge you the least possible charge. 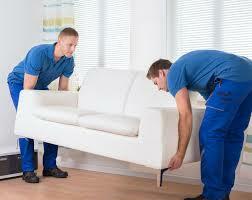 For this reason, you also need to ensure that the work done by the relocates is not as much. To be able to achieve this, you need to identify those tasks that you can do by yourself in order to reduce the workload. If you have brother and cousins, you can ask them to help you do some of the things like packing, which will be costly if you hired professionals to do it for you. At the same time, you can use your personal car to transport those small items which will increase the price of the mover if you were to let them transport them. There are many items in your home that you actually don’t need, let alone use. Be keen not to transport them, since such a move will only increase the price of the relocation and you might not be getting any meaningful value from them. What you should do is, identify those items that are of no use to you and put them aside. You can even give those people that need them, like charity organizations so that they can distribute those items to needy individuals. There are some items in your home that MUST be moved. These may include high value items like family photos, birth certificates, passports and many others. You should not allow the moving staff pack these, or even transport them. Remember that when moving, anything can happen, and thus taking a risk with high-value items might not be worth it. Cutting on cost when moving is a priority to many people, and it is one of the reason why people value local moving companies. By understanding how to reduce the cost, you will find it easy, cheaper and more convenient to hire local moving companies.